Due out on February 21 in Japan. 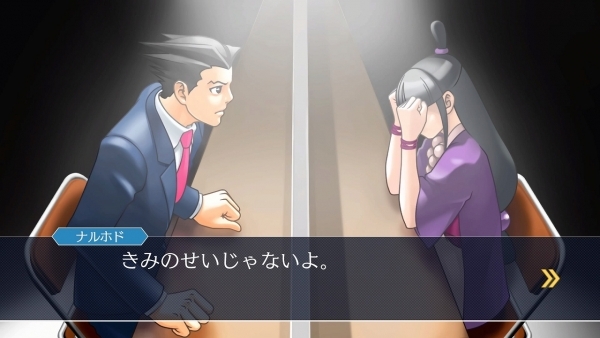 Capcom has released a new set of screenshots from the upcoming PlayStation 4, Xbox One, Switch, and PC version of Phoenix Wright: Ace Attorney Trilogy highlighting characters Phoenix Wright and Miles Edgeworth. Today’s screenshots are the first in a four week series that will introduce the Trilogy‘s main characters. Phoenix Wright: Ace Attorney Trilogy includes Phoenix Wright: Ace Attorney, Phoenix Wright: Ace Attorney − Justice for All, and Phoenix Wright: Ace Attorney − Trials and Tribulations. It is due out for consoles on February 21 and PC this spring in Japan, and for all platforms in early 2019 in North America and Europe.